Many Canadian athletes freely travel the continent to warm weather or high altitude training sites in preparation for the Olympic Games. Athletes in other parts of the world must deal with more compelling issues. 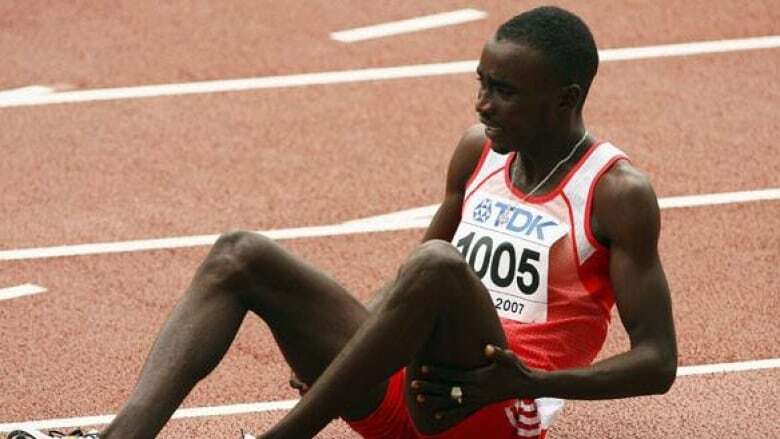 Shortly after returning from the African Championships in Addis Ababa, Ethiopia earlier this month several members of the Sudanese national team found themselves caught up in the aftermath of a rebel attack on the capital city of Khartoum. Hundreds of militia reportedly belonging to the Justice and Equality Movement mounted a surprise attack after a 400 kilometre trek across the desert. Their tanks and armoured vehicles were met with overwhelming force by Sudanese government forces. Witnesses report scores of civilians were killed in the crossfire and no sooner had the attack been repelled then the government began rounding up those they believe were supporters of the JEM. Although the fighting was confined to Omdurman, a suburb on the west bank of the Nile, the government established an evening curfew. Military units patrolled the streets - not the best environment in which to pursue the Olympic dream. Worse they were unable to leave Khartoum for a planned high altitude training camp in Yemen for over a week. The airport was closed for a couple of days but even after it re-opened many airlines cancelled flights into and out of Khartoum because of security concerns. They had planned to join their coach, Jama Aden, in Cairo where he lives half the year, . In an Olympic year any hindrance to training can be critical. "After the Doha Grand Prix meet we were thinking we would go to Damar in Yemen," Aden says, "It’s high altitude and it’s where we stayed before the African championships. It’s a very good place, 2600m elevation. But for several days days there were no flights from Khartoum in or out and we didn’t know when the airport would open." Aden who is a former Somali record holder in the 1,500m and mile, says that the athletes were training normally but without him. They communicated by telephone almost daily. "They finally arrived in Yemen May 16th after one day in Cairo," Aden said. "They never heard gunfire and never saw anything (of the fighting). But they say they have never seen anything like this before. They thought they may never get out." "They worried a lot but now are relieved. They say everything is o.k. in Khartoum now." The country has endured a civil war for the past twenty years as rebels attempt to oust President Omar Hassan al-Bashir. Most of the rebels are said to be non Arabs intent on restoring a balance of power and wealth to the country. Among those reunited with their coach are Nagmeldin Ali, who won the 400m gold medal in Addis, Abubakr Kaki, 18, the 2008 IAAF World indoor 800m champion and Ismail Ismail, silver medalist in the 800m at the African Championships. Aden has built the Sudanese program from scratch often traveling for days across the Sahara desert to recruit young athletes. The result has been spectacular. Ismail was a finalist in the 2004 Olympics at the age of 18 while Kaki won the country’s first ever gold medal at a world championships with his stunning performance at the world indoor championships in Valencia. Upon his return to Khartoum he was greeted by a crowd of roughly 15,000 people. So popular are the national team athletes that they draw between three and five thousand spectators to their daily training sessions. Aden finds himself both coach and track marshal trying to keep the enthusiastic crowd in the stands. Once he gave Kaki a day off because he recognised he had been over training. Disappointed fans approached Aden and complained that they had taken two buses to get to the stadium to see Kaki work out. The facilities are spartan to say the least. But the athletes who Aden selects for the program are grateful. They receive three meals a day. Aden has hired a cook to ensure they eat right. They also have shelter. The 30 or so males in the national team program sleep in a single dormitory room while about 25 females sleep in a smaller dorm next door. But for many these conditions are better than what they endure in the towns and villages from where they came. With less than 80 days remaining until the Olympics Jama Aden is hoping the preparations are not disturbed any further. An Olympic medal would offer Africa’s largest country a temporary respite from the troubles it endures.